Well, it’s transfers once again! The verdict is… I’m staying! 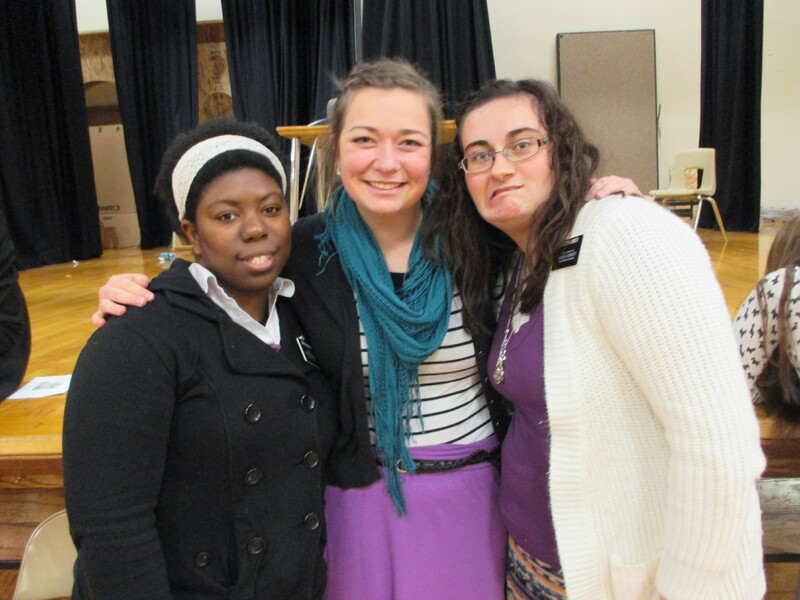 Sister Randall will be heading up to Columbia Falls (near Kalispell) on Wednesday. My new companion is Sister Moore, who I know because she’s been serving in our zone this last transfer. She has been out on her mission for 5 weeks, so I will be finishing training her. 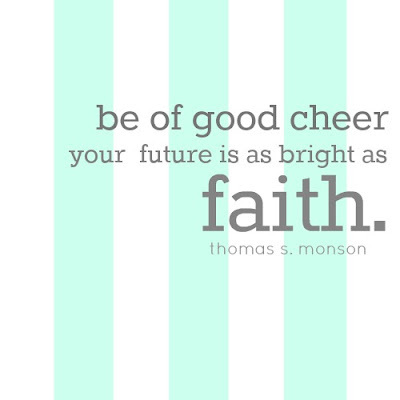 I’m really happy that I get to stay in the YSA Ward. I had the distinct impression this weekend that my work wasn’t done here or done with particular people we are teaching. This next transfer will be great! I’m excited and nervous to train, but hopefully it goes well. Sister Moore (my new companion! ), Sister Martin, and Sister Jones. Monday night’s FHE was a blast last week! Our ward did their Christmas party and there was lots of food and socializing. At the end, they did a White Elephant gift exchange. The way it worked is that they read a special version of the Christmas story and every time it said “right” or “left”, you passed your gift either right or left. About halfway through the story, somebody peeked inside of one of the gift bags and announced, “there’s fish in here!”. Haha, yep, someone brought live goldfish. Missionaries of course cannot keep pets, so it was pretty hilarious when Elder Inman ended up getting the fish at the end! 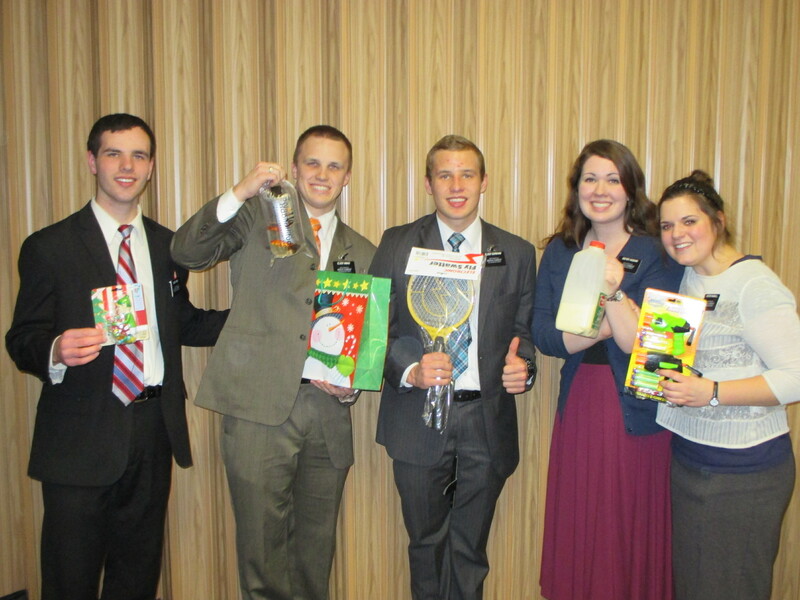 Elder Burnham: an electric fly swatter. Sister Randall: 2 nerf guns. Wayy too much fun for two sister missionaries. 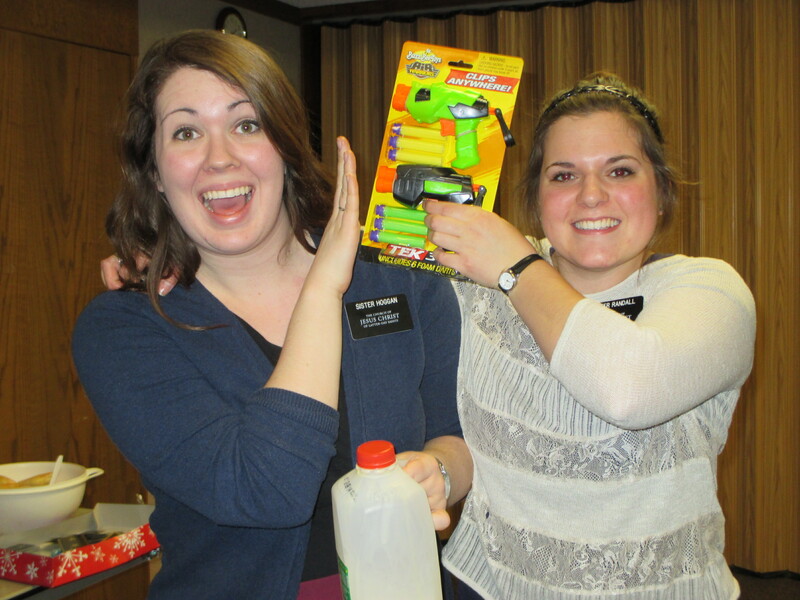 Sister Randall definitely got the best gift I think- two small nerf guns! We may or may not have had a shoot-out between us… hahaha. This week, we turned our whiteboard into a target. To make it missionary related, we made each of the circles represent something: the biggest was OYMs, then lessons, then sacrament meeting attendance, and then the bullseye was baptism! Oh my, too much fun. I just love the Christmas season! We got our tree up in our room and got it all decorated. I’ve been enjoying the lights on it a lot. 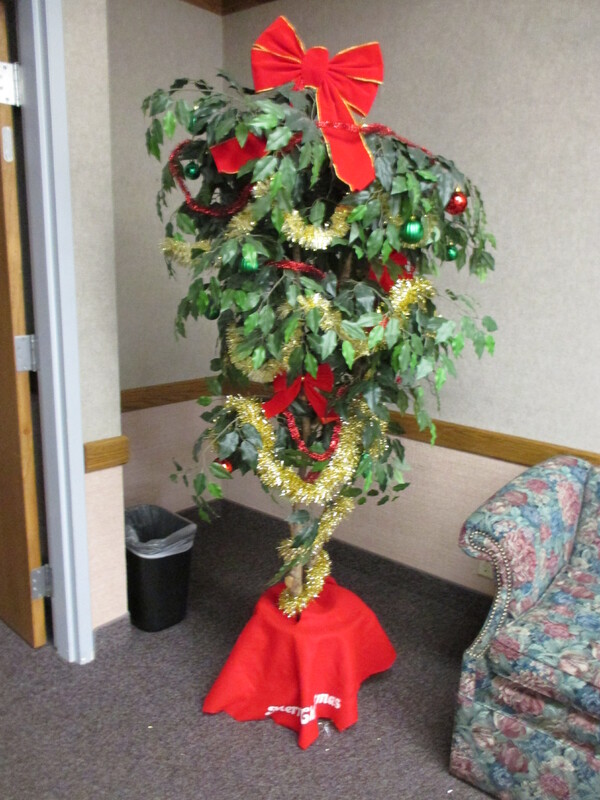 The institute is festive as well- I got a pretty good laugh at the ghetto Christmas tree they made. I will attach a picture of it. Ghetto tree at the Institute! Christmas has also been great for helping us start conversations. Sister Randall and I have been caroling to people on their doorstep while tracting, and while it’s terrifying sometimes, it’s great! People don’t immediately shut you down when you sing them a Christmas song. We’re gonna be caroling-tracting like mad this next week probably, all while spreading the He is the Gift initiative. The zone leaders started a competition between the two districts to see which can have the most OYMs related to He is the Gift. Our district is totally dominating right now, which is nice. We have a new investigator! You’ll never guess what his name is. No seriously, it’s awesome. You ready?… Joseph Smith. YEP! His driver’s license proved it and everything. He goes by Joe, and Sister Randall and I always laugh because we feel like the “bad people” in the Joseph Smith: Prophet of the Restoration video because they would always call him Joe Smith. Bahaha. Anyways, so Joe is legitimately great. We’ve taught the first two lessons, and he’s just soaking it all up like a sponge. He wasn’t able to come to church this week, but hopefully next week! He’s a huge nerd like me, so we instantly clicked. He’s not for sure about baptism yet, but we’re going to keep talking to him about it. We also have a new less-active that we’re working with, and her name is… Dana! Talk about confusing. Every time my companion says her name I find myself turning my head. Our investigator Adriana is home for Christmas break in California, so we’re working on getting her hooked up with the missionaries down there. We also saw Karen this week, and she told us that she’d talked to her kinda less-active boyfriend about baptizing her. He knows he needs to get his act together, so this might be the push he needs. If the scriptures had a soundtrack, it would be Handel’s Messiah. That music just makes my heart sing! The Missoula Stake Choir did two performances of parts of it, on Friday and Saturday night. The choir and orchestra has been practicing since June apparently. I was actually really impressed with the quality, particularly with the soloists. We had people we are teaching attend each night, so we attended both nights with them. On Friday night, we also got to hand out programs and usher. Pretty fun! 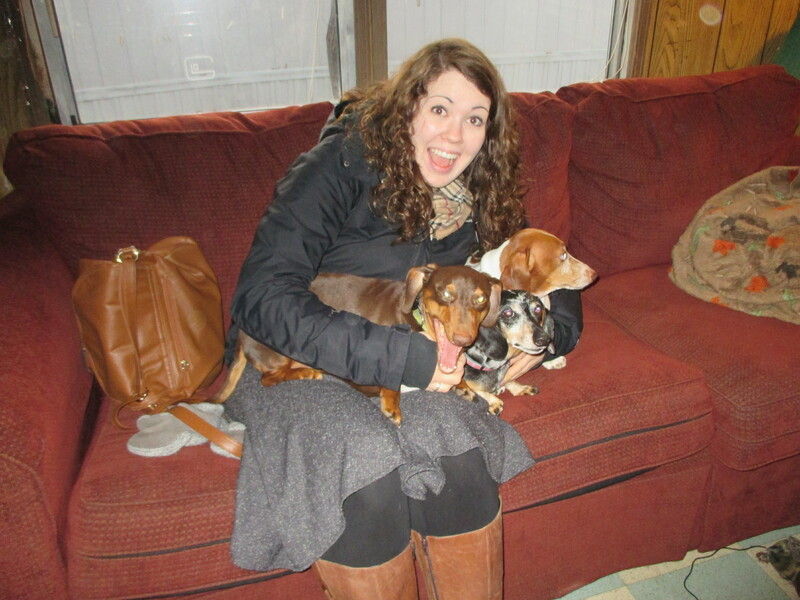 I need to own at least 5 snuggly dachshunds when I get home! Christmas is quickly approaching! Love and miss you all. Have a happy week! Stay safe and warm!